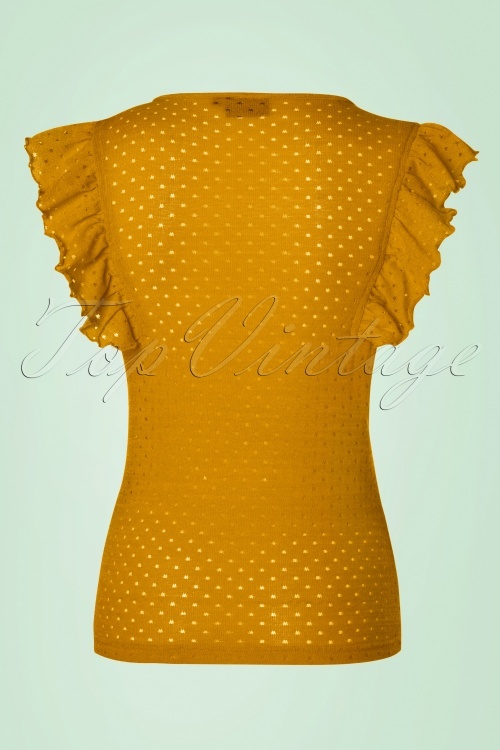 It's all about ruffles this summer, that's no problem with this 50s Louis Ruffled Top! Who ever said that vintage can’t have a touch of Cuban spice?! 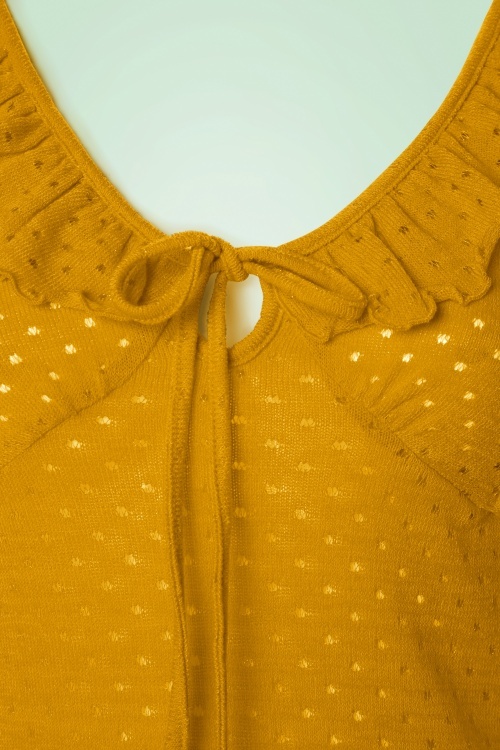 This sassy top features a deep V-neckline with playful tie straps that shows a stunning cleavage and is finished off with cute ruffles that will bring out your inner cha-cha-cha ;-) Made from a fine knitted, mustard yellow fabric with a light stretch and an openwork pattern making her semi-transparent. Louis, Louis, Louis let's have some fun together! Dressed by Top vintage..who else? First of all the beautiful white cat blouse arrived today love it!!! So different to an average white blouse. Is stretchy comfy fit and love the touch of paris print. Thank you Top vintage for your outstanding service. And for adding abit of style in my wardrobe. 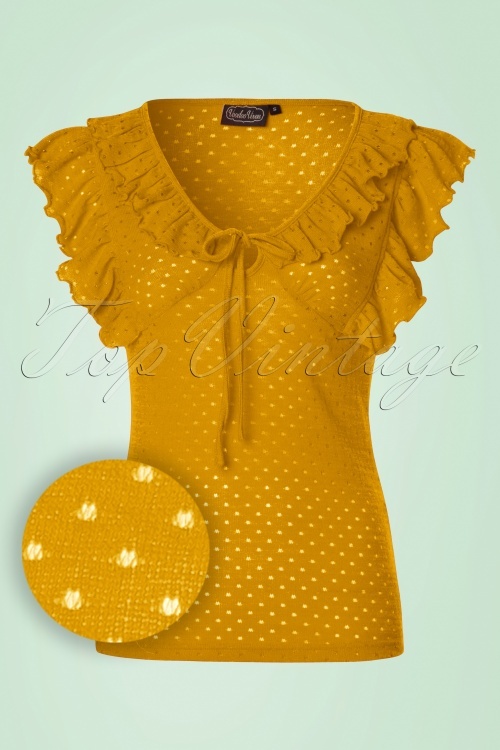 Top vintage you are Top of the List.